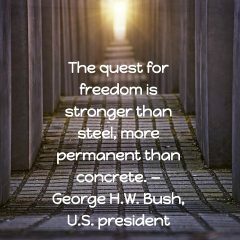 The quest for freedom is stronger than steel, more permanent than concrete. — George H.W. 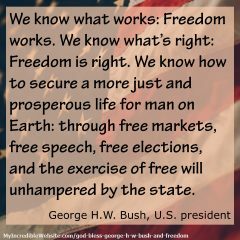 Bush, U.S. president God bless George H.W. Bush, U.S. president, who died yesterday. May he rest in peace. A good man.